Johnny was Studio Assistant and eventually a Presenter at Swindon FM where he got his first role in radio. Johnny made his debut reading the news, and later went on to present “Rewind the clock”, which was a bit like The Golden Hour. Johnny also produced the promos and in house imaging for the station. Swindon FM was based at Old Town Court Studios. 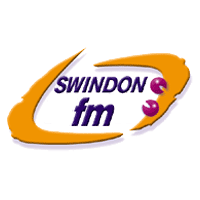 It went for the local Swindon license which was eventually awarded to Brunel FM. Until the license was awarded, the station was broadcasting over the weekends on DAB digital radio until late 2003 when it launched its daytime service during the week. In 2005 the station ceased broadcasting.